Branding – It’s Not As Scary As It Sounds! You might be a business that has been around for quite some time, or perhaps you are a new business starting up. Regardless of your status and stature, when it comes to branding, there are numerous things to contemplate. Some say, it is harder to re-brand yourself if you are a business that has been operating for many years. On the other hand, it has been said that is just as complex to brand yourself as a new business breaking into an existing market. Regardless of how you look at it, or who says what, branding is the most fundamental aspect to any businesses new or existing. Your brand is your fingerprint, your pulse in a specific market and community; you as a company are defined by your brand as it is how people will relate to you, find you and connect with you. Branding is essential more importantly the how develop your brand is acutely crucial. We are not talking about re-inventing the wheel here, we are talking about what the color, shape or size the wheel, can, will and should look like to a specific demographic. When determining your brand, new or old, there are some key guidelines to follow when taking this new leap forward into the daunting indefinite. First of all, researching your demographic will help you in determining your brand, label, and your fingerprint. If you have no idea what demographic you’re marketing to then you will never develop a successful brand. For example, if your product, or business is driven towards the 30 something, conservative, gun owning male, you probably don’t want the color pink in your logo/brand. This is probably not the greatest analogy, but there is a science to this. The point is, like any marketing plan, you do the demographic research to help you determine who your ideal and customer is, and tailor your brand to those customers. The rest will follow. But, you must must must do your research, whether you do this yourself or hire a marketing person, it must be done in order to have a comprehensive look at your business/product through your potential customer’s eyes. When developing a new brand for an old business you have to prepare your audience and/or customers for the change. Your existing customers are your best customers and you always want to keep them in the loop on any changes to your business, plus this makes them feel important; empowerment is influential. As a business owner, you should already have vital data from your existing customers, such as email addresses, mailing addresses, social media, mailing lists etc. Most businesses now, are using social media to prime their audience intended for any specials, changes and/or events regarding their business. It is a quick and effortless way to reach your audience with these changes. More importantly, by priming the pump so to speak, letting your customers know that you are changing names or updating a logo but are still maintaining the same ownership is beneficial in maintaining your identity. If you are a storefront, hand out flyers, throw an event for a grand re-opening, plaster it all over your social media sites, send emails, post cards etc. You want to give your customers/clients at least a 6 months notice that things are changing in a good way. If there is one thing people dislike it is change and they dislike it even more when they don’t see it coming. Use this is a re-marketing/marketing campaign to tap back into to your audience, new and old. There is always opportunity for marketing when branding or re-branding. If you are developing your website and are simply working with blogging and social media platforms, use these tools to announce your changes. Not only is this a great marketing tool, but it also gets you re-involved with your audiences. Keep your clients informed and use the opportunity to reach back out the community to say you care and hey take a look at what we are doing! People will warm to your regard and this outreach will benefit your business. And you never know, you might re-capture that customer that hasn’t been to your business in quite sometime. It’s a win win! It’s always wise, when making a change to your brand or creating a new brand, to announce to your audience the changes that are about to take place. Get them to interact with the change, pose questions, give timelines etc.. The most important information you can reveal to your audience about any changes is the most relevant information, which means, what is real vs. what might be. 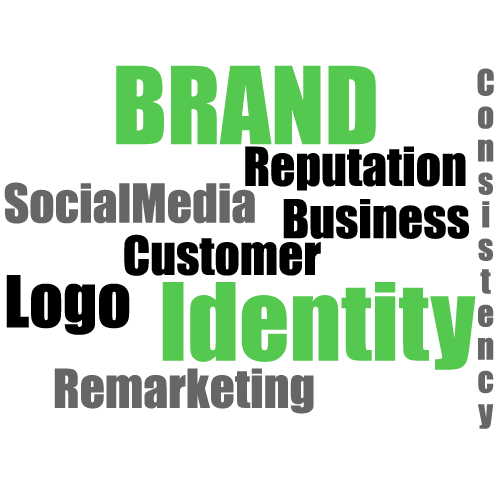 Make sure that when you begin your branding/re-branding campaign, you are consistent throughout all of your platforms, social media, blog, website, local listings etc. Take one platform at a time, and slowly develop your consistency across the board. If you don’t have consistent content throughout your platforms, things will be interpreted as sloppy and irrelevant and followers/audiences will be less interested. Consistency is you best tool in the toolbox, when people are Google searching for a specific product they like to see consistency. You don’t want your twitter to say one thing and your Google+ to say another. Keep things simple and consistent, it’s always the best approach. Quick Tip: Create a mailing list and put it on your website, social media and plaster all over your business. Get your customers to sign up so they can have exclusive access to specials, upcoming events and your company newsletters. You can easily create this through MailChimp. This is a non-invasive way to inbox your customers without feeling like you are spamming them because they signed up for the mailing list on their own. Branding can be a simple transition or creation if properly introduced and strategically planned out. It can also be a fun process if you allow it to be. Make it exciting to your customers that this is great thing and they will benefit from this change and development. Use social media as much as possible; you can reach a larger, vaster audience if properly used. Don’t underestimate the power of conversation; engage with customers online and in person if possible and inform them about this new era of your business! In the end, people might not like change initially, but if it is good positive change, the audience is yours for the taking!